Day four of the conference came and I just could not get up in time for the 8 o'clock session. I think the last month caught up with me and I needed an extra hour of sleep. I felt so much better when I arrived at DeVos Place for the 9:30 session. Private Archives: What They Are and How to Use Them with John Philip Colletta was filled with information on using manuscripts for your research. Lots of unique collections were shared. New York seemed to be on my mind during this conference and I attended Three Keys to New York: Censuses, NY Public Library, and NYG&B's Vast Collection with Susan Miller. I decided to join New York Genealogical and Biographical Society (NYG&B) during the conference in order to tap into their resource materials and databases. The information that was provided on the New York State Census and New York Public Library was great, but long and I was hoping I would learn more about their vast collection. I will be checking out their website guides and webinars soon. The afternoon sessions started with Nothing in Life is Free... Unless You are Talking about NDNP... Chronicling America 1690-1963 with Kimberly Hagerty. NDNP is National Digital Newspaper Program, a joint program with the Library of Congress, Central Michigan University Clarke Library (in Michigan) and the National Endowment for the Humanities. This amazing project hosts over 13.2 million newspaper pages, digitized and available for free. Since CMU's Clarke library has been involved they created the Digital Michigan Newspaper Portal. The states who participate in this program and their newspapers can be found on Chronicling America. 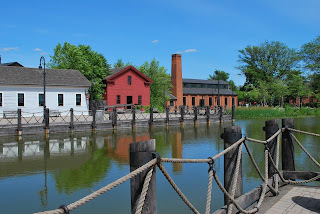 The conference started with the Erie Canal and I thought it was fitting to end it that way as well. Afloat or Ashore: Tracing and Tracking Erie Canal Workers, 1817-1918 with Pamela Vittorio provided information on the records that are available for those who worked on the Erie Canal. 21 resources for more information were provided as well as the types of jobs available. Overall, I had an excellent conference experience. This was my first NGS conference and I was happy to have experienced it. Michigan was a great place to have a conference. The attendance was about 2200 and over 600 of those who registered were from Michigan. I knew many of the attendees. The DeVos Place was vast and there were a couple of people I had hoped to connect with, but never saw. The Western Michigan Genealogical Society, National Genealogical Society, all the volunteers, vendors, and attendees made it a successful conference. Thank you to all. The alarm went off and I was sound asleep. I have been busy volunteering, attending sessions, being social, walking and walking and walking. I was tired at the beginning of Day 3. I made it to my room monitor assignment by 7:30 a.m. and the doors were open and the room half full, what the heck? Oh, well, I guess there were some early risers. Jill K. Morelli presented, Glory to God! Dutch Christian Reformed Church: Online, Parish and Archives Records. Ms. Morelli spent a lot of time on the history of the church and toward the end talked about the records available at Calvin College. This session was followed by Migration Patterns of Germans within America by Sharon Cook MacInnes. Three phases (1607-1805; 1815-1871; after 1871) were discussed and migration tips provided for each phase. My German ancestry came during two phases, one came in the early phase and came into Pennsylvania. Later, around 1874, my other German ancestor arrived. Resources for each phase was provided. One of the holes in my Michigan research knowledge is the records of the Northwest Territory and when I saw Early Land Records in Michigan and the Old Northwest Territory by Angela McGhie, I knew I would be sitting in the Grand Gallery AB room for this one. This was one of my favorite presentations. It was also a session that I met up with two Calhoun County friends. Ms. McGhie talked about land entry resources, timelines for each territory, statistics, types of records available, where to find these records, and more. I was so excited when I left this session that I went immediately to the Bureau of Land Management vendor table and used their database and had a couple of certificates printed! Map Guide to the U.S. Federal Censuses 1790-1920 by William Thorndale and William Dollarhide. I had a special event to attend at 1:00 p.m.-a book signing for the revised and updated NGS Research in the States Series-Michigan book. I volunteered to update the book with the proceeds benefiting the Michigan Genealogical Council. NGS sponsored the book signing and I got to talk to a few Michigan researchers. The book sold out at the conference but it is available through the NGS store, in .pdf or print form. The History and Settlement section of the book was tweaked for accuracy. Archives, Libraries and Societies had the biggest rewrite. The changes within the Library of Michigan, Archives of Michigan and the addition of Seeking Michigan material was added. A Michigan Oral History Association section was added. The rest of the book centers on resources and records. They were updated as needed and new information on a few sources added and all links were updated. I enjoyed working on this book and hope Michigan researchers will find it useful. The first afternoon session was Jewish Genealogy for Non-Jews: History, Migration, and DNA by Schelly Talalay Dardashti. I pick one session that is out of my area of research and this was the one. I learned so much during this session. Ms. Dardashti is a fountain of information. A history of expulsions was combined with a very brief Jewish history. Archives, records and resources for Jewish Genealogy was presented along with social history and customs. It was a very informative session. Deeper Analysis: Techniques for Successful Problem Solving by Elissa Scalise Powell ended day three for me. Ms. Powell showed examples using spreadsheets, timelines, maps and charts as ways to analyze the information you already have. I found myself drawing tables that I want to use for some of my research problems. My to do list is getting longer each day that I am here. I didn't have any social events scheduled for tonight and I felt like getting away from the downtown area. I walked back to the hotel and my husband and I went to one of my favorite places in Grand Rapids, the Downtown Market. We had some great barbecue and a delicious molasses cookie. Next, we stopped on the way back to the hotel to visit with my in-laws who live just south of Grand Rapids. I was home by 8 and in bed by 9. I know I am just killing the night life!!! My morning started with David Lambert's Researching Your New England Ancestors Online and in Repositories. Lambert caught my attention when he invited people to stop by the NEHGS booth and ask questions. 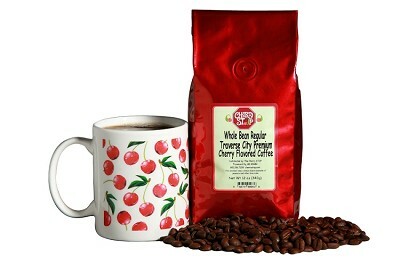 He said, "as long as you don't ask for me to tell you everything about Samuel Poor of Newburyport, Ma". Wait, what? That is my ancestor. I stopped by the booth a couple of times, but never when Lambert was there. I will have to wait until July to ask him, when he comes to speak at the Abrams Foundation Seminar being held. Even though I have been to New England to conduct research, I still have a lot of research to do. The take away from this session is not to reinvent the wheel when doing research in this area. Use the wonderful resources in print and online such as The Great Migration Series, The Winthrop Fleet, New Englanders in the 1600's, Torrey's Marriage Records, and others. Yvette Hoitink was one of my must see and hear sessions that I picked before the conference. I chose For Fortune and Faith: Emigration from the Netherlands in the 1800's. I learned so much about the Netherlands during this session. It focused on the history of the Netherlands, familial relationships, and reasons people left the Netherlands during this time. My husband's family is one of the families that were part of this emigration. Seeing my book, "Research in the States: Michigan" at the NGS booth. I bought the Massachusetts and Rhode Island one. Grabbing the Calhoun County guide from the Library of Michigan booth. 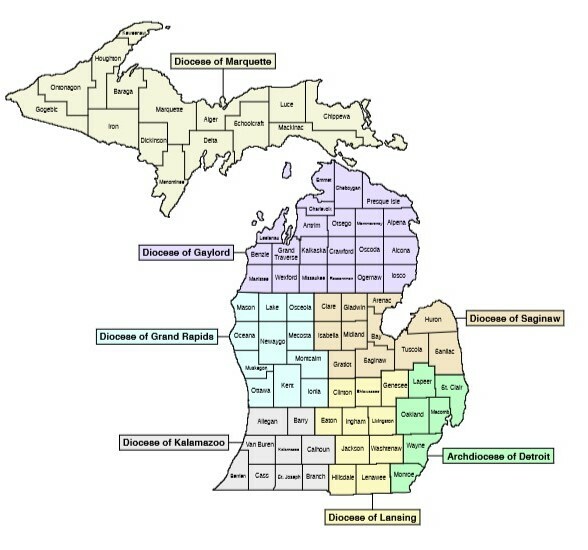 The Library of Michigan has guides for every county in Michigan. Talking to my friends from Clayton Library, Houston, and checking on the library that I enjoyed researching in when I was visiting my son. Finding out about Dutch Roots Tours and getting a wooden shoe key chain. My family of six are looking forward to a future trip to the Netherlands and I would like to visit a few family areas and Jan Deelstra was a wealth of information. Buying three magazines, Tracing Your Ancestors DNA and Genealogy, Tracing Your WWI Military Ancestors, and Tracing Your Civil War Ancestors from Moorshead Magazines. Seeing a demo of Research Ties, an online research log that helps users organize (I heart organization!) their research. I want to explore this further and may sign up for it. The afternoon started with D. Joshua Taylor's Fifteen Tools for Tracing Your New York Ancestors Online. Many of my early Michigan ancestors migrated here from New York and I am always looking for ways to find them in records. Taylor provided fifteen resources every New York researcher should know about. Everything from Family Search to manuscripts to New York State Library and Archives, newspapers and more was presented. I have a list of so much to check on, that I could spend the next year just on New York families. 4:00 p.m. rolled around and I couldn't believe how fast the day had gone. I ended the day with Dr. Thomas W. Jones and Using Michigan Records to Reconstruct a New England Family. One thing I have found over the years is that one knows what to expect from a Dr. Jones session-a well researched case study. The best part of this was that he used a Michigan family that came from Vermont and he traced the family back to Vermont. Dr. Jones mentioned, "no one source is as bad as to overlook it and no source is as good as to follow it blindly" It is always a good feeling to see the work of a well respected genealogist and know you are on the right track with your research. It was a great way to end the session day. The day actually ended with a Dutch Meet and Greet that was organized by Yvette Hoitink and Elaine Zimmerman. Those with Dutch ancestry met in the lobby of the Amway Grand Plaza and chatted about where in the Netherlands our ancestors lived. I was the impostor of the group because it is actually my husbands family who is from the Netherlands. However, I did find out that Luyendyk, the original spelling of our name, is pronounced Line dyke. We ended the meet and greet with dinner at a local restaurant, Z's. 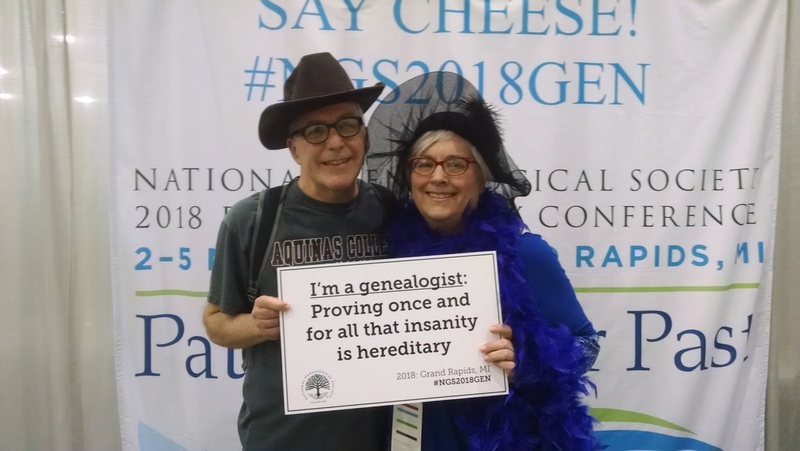 NGS 2018 Conference "Paths to Your Past" A Blast! Who wouldn't have fun during four days of great genealogy learning? I know I did. I am home from the NGS 2018 Family History Conference that was held in Grand Rapids, MI last week. Grand Rapids was a great venue for the conference. The DeVos Place overlooked the Grand River and allowed conference goers to understand how Grand Rapids received its name. I attended seventeen of nineteen sessions. I spent one session visiting the exhibit hall and talking to vendors, and one session I was so exhausted that I skipped it. Other activities included volunteering at registration and as a room monitor. I covered the Michigan Genealogical Council vendor table three times and even had a book signing at the National Genealogical Society's booth. I represented Calhoun County Genealogical Society at Society Night, went to a Dutch Meet and Greet and dinner, and even fit a trip in to visit my in-laws. It was tiring, but also very motivating. I can't remember the last time I was this excited about genealogy. I thought I would have time to blog each night about my sessions, but that didn't happen. Wednesday started with a great opening session with John Philip Colletta on Coming Along the Towpath, The Erie Canal and the Peopling of the Great Lakes States. Colletta is one speaker that if you have never heard him, you must. He infuses humor and props along with a wealth of knowledge. 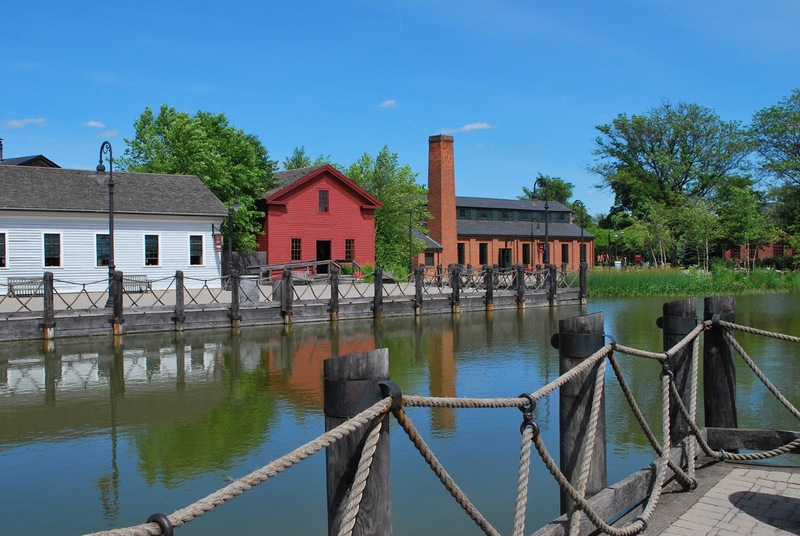 Colletta talked about working on, along and for the Erie Canal and using the canal for migration, transporting cargo, and traveling for business or leisure. The Exhibit Hall opened after the opening session and throngs filled the hall. I had one book that I wanted to get at the New England Historic Genealogical Society's booth and it was sold out before I got there. I walked through the hall to get an idea of what was available and made plans to come back during one session time when the crowds were less. Follow the Rivers 1790-1825: Trails that opened the Northwest Territory with Carrie Eldridge was my next session. Eldridge's knowledge of geography was evident as she shared the rivers and modes of transportation from the East into the Northwest Territory. Finding Treasures in the Hoosier Courthouse with Michael D. Lacopo was my first afternoon session. Dr. Lacopo is an excellent speaker and knew I wanted to go to at least one of his sessions. This one will help me with my Hoosier ancestors. He covered history, court structure, record keepers, and more. Excellent resources were included as well. It was hard for me to pick one topic for the last session of the day. I decided to pick the one from the BCG Skillbuilding Track, Analyze This! Scrutinizing Evidence for Problem Solving with Vic Dunn. It was to "learn the methodology astute genealogists use to break-down brick walls", and I do have a few brick-walls! I didn't take one note which is odd for me. It ended up being a good review for me of methods I already use. I just need to use them. The night ended with Society Night. Members of local genealogical and historical societies were set up at the Amway Grand Plaza Hotel Center Concourse and my local society had a table, which I helped man. Many people came by our table and it was fun to talk to and share information about my county, Calhoun. I took a few minutes and walked around the concourse to see who else was there. Many of the societies I was familiar with, but one caught my attention because I had never heard of their organization. It was the Greater Grand Rapids Women's History Council. The council is "dedicated to educating the community and celebrating the legacies of local women, preserving knowledge of their past, and inspiring visions for the future." During WWI over 4 million women were registered. 23,000 were registered in Grand Rapids and their database is searchable here. This is just a recap of the first day and I have three more days of fun to tell you about. Source: This work is in the public domain in the United States because it was published in the United States between 1923 and 1977 without a copyright notice. Found at wikipedia commons images. One of the hotels for the upcoming National Genealogical Society "Paths to Your Past" family history conference is the Amway Grand Plaza hotel. It has a rich Grand Rapids history. You may hear people referring to it as the Pantlind hotel, which it was known as for years. 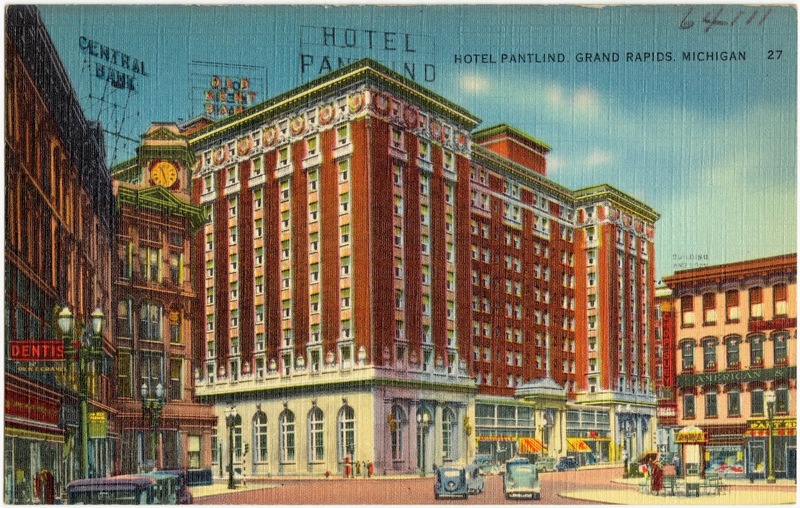 The Amway Grand Plaza (Pantlind) hotel is the best of both worlds. Modern conveniences are combined with old world charm. 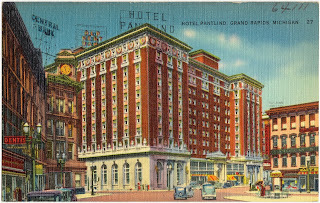 The hotel is comprised of two sections: the original hotel section known first as Sweet's Hotel (1900), then the Pantlind (1913) and now Amway Grand Plaza. The original section of the Pantlind and the newer Glass towers, which were added in 1983, make up the Amway Grand Plaza. You enter the lobby and immediately see the architectural charm. The Pantlind was created by the same designers as the New York City Grand Central Station and Biltmore Hotel. It was named "one of the ten finest hotels in America" in 1925. The Amway Corporation purchased it in 1981. Amway restored the Pantlind to its original opulence and added the luxurious Glass Tower. If you are lucky to get a room with a view, you will overlook the Grand River. Many architectural details should not be missed. Three Czechoslovakian chandeliers grace the lobby, made of Austrian crystals and weighing 4000 pounds each. The domed gold leaf ceiling is a sight to see. Arched windows, brass molding, wired electric gaslight torches complete the ambiance of the place. If you want to know more about the historical details of the hotel, check the tour brochure available at the hotel's website. The Amway Grand Plaza is part of the Historic Hotels of America, a program of National Trust for Architecture History Preservation. No matter what part of the world you are from there are words that only locals know. The same is true for Michigan. 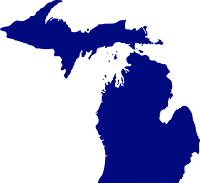 If you are visiting Michigan for the upcoming NGS Conference, in Grand Rapids Michigan these terms will help you speak like a Michigander, the word for those living in Michigan. The Mitten: Lower Michigan is shaped like a mitten. If you ask someone where they are from and they point to a place on their hand, that is why! We use our hand as a map. U-P: If you hear the word U.P. (You Pea) it means the Upper Peninsula of Michigan. 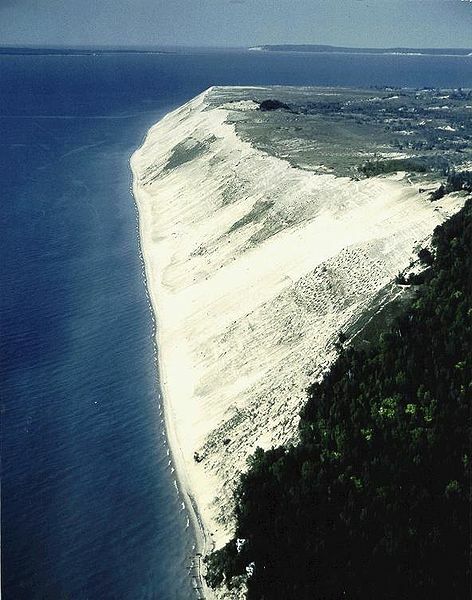 The Thumb: A part of Michigan that looks like a thumb in the mitten. I grew up in the thumb. Yooper: Someone who lives in the U.P. Trolls: What Yoopers call those who live under the bridge, or in the lower peninsula. Fudgies: Tourists are called this by Northern Michigan residents. Party Store: It is a place that sells all things alcoholic. 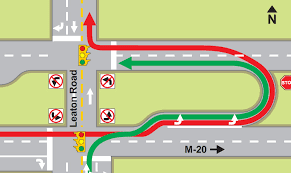 Michigan Left: It is a U-turn when left turns are not permitted. Pop/Soda: We drink pop and bake with soda. Faygo: A brand of pop popular in Michigan. 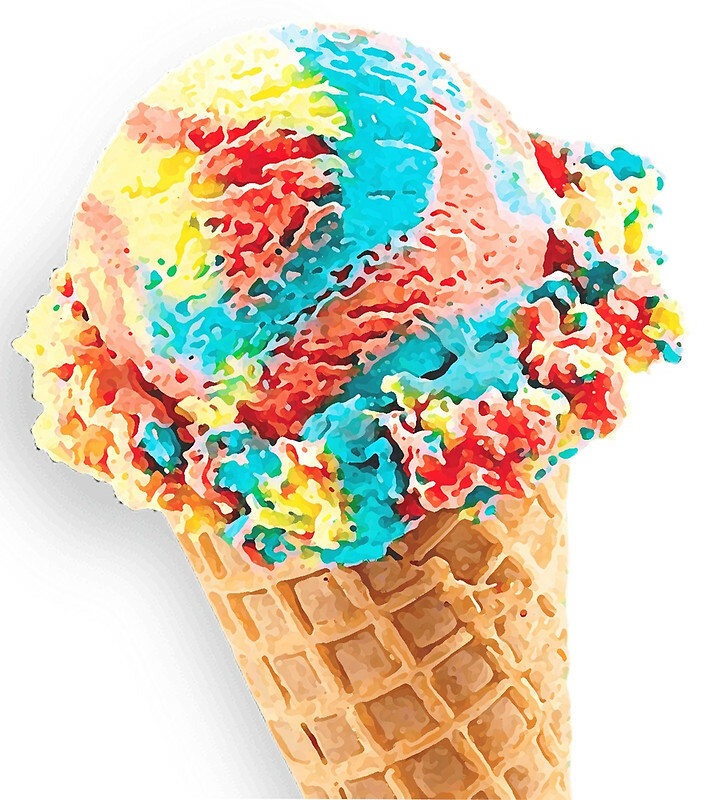 Superman Ice Cream: A fruity creation of red, yellow, and blue swirls, well know throughout Michigan and the Midwest. 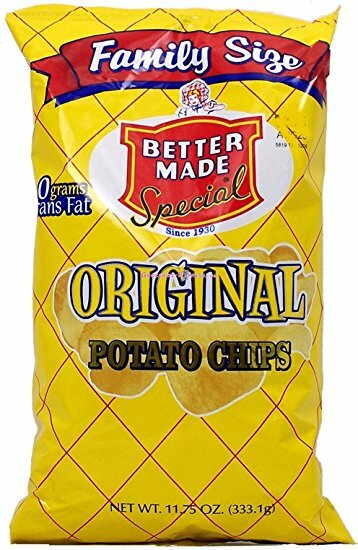 Better Made Chips: A Michigan made potato chip. 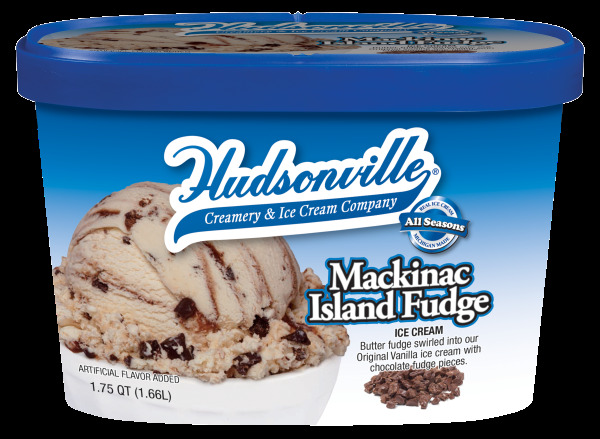 Mackinac Island Fudge Ice Cream: Deliciousness you must try. It is vanilla ice cream with chunks of fudge. 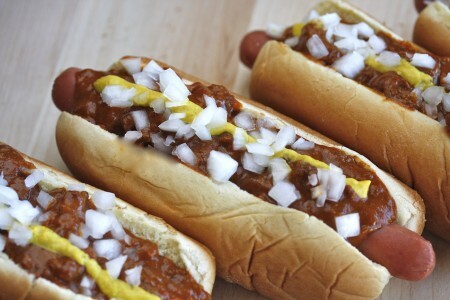 Coney Dogs: A hot dog in a bun with a special sauce and other condiments. If it is a Koegel hot dog, all the better. If you don't like the weather, just wait, it will change. Michigan has been known to be warm one day and snow the next. Hopefully, we won't have to worry about snow in May. We have two seasons: Winter and Construction! I hope you have a great time in Grand Rapids and get to see a little of our wonderful state.